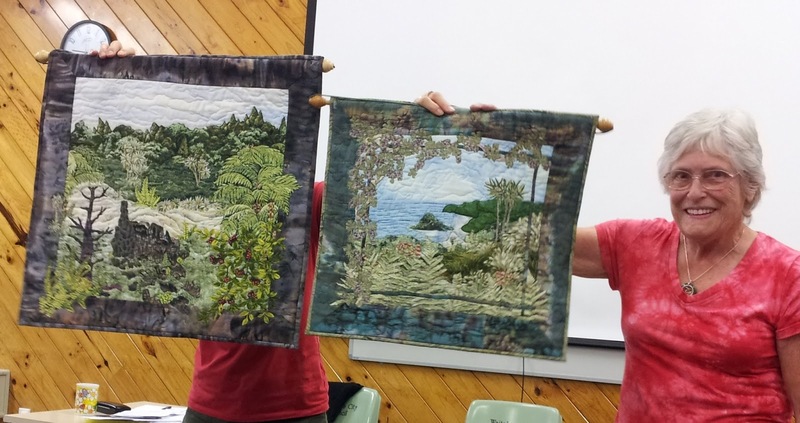 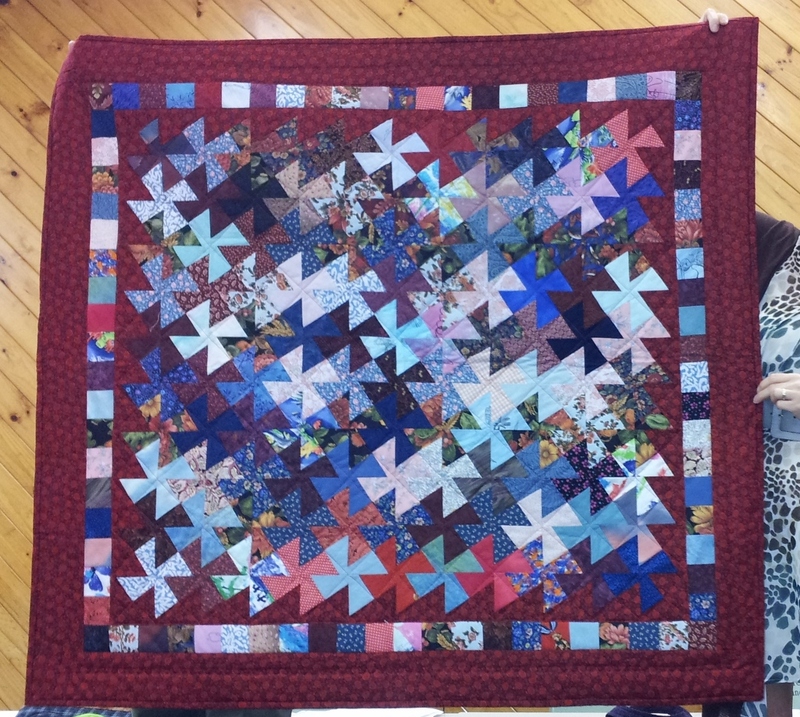 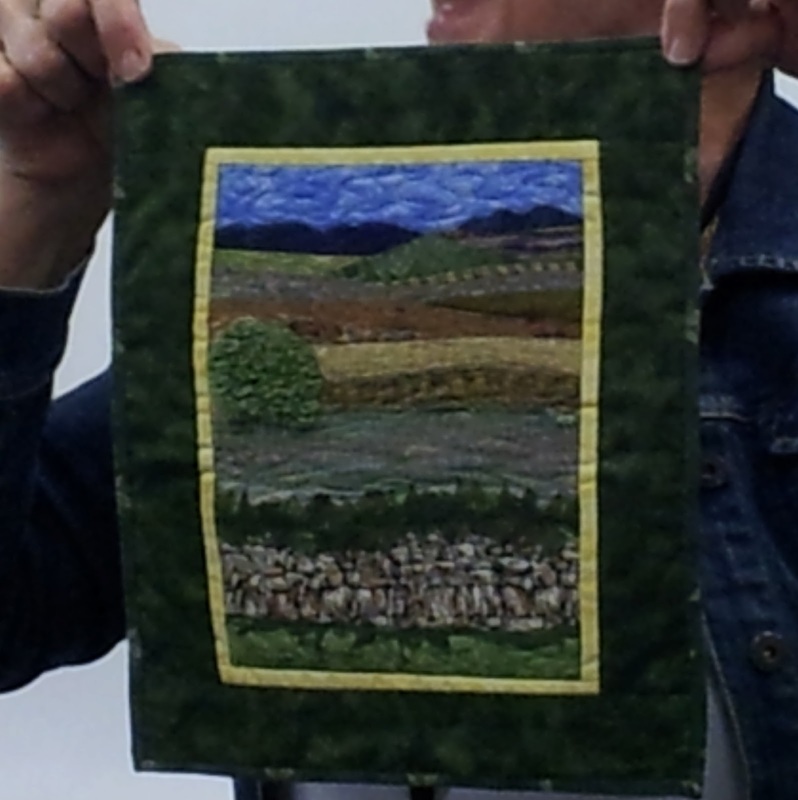 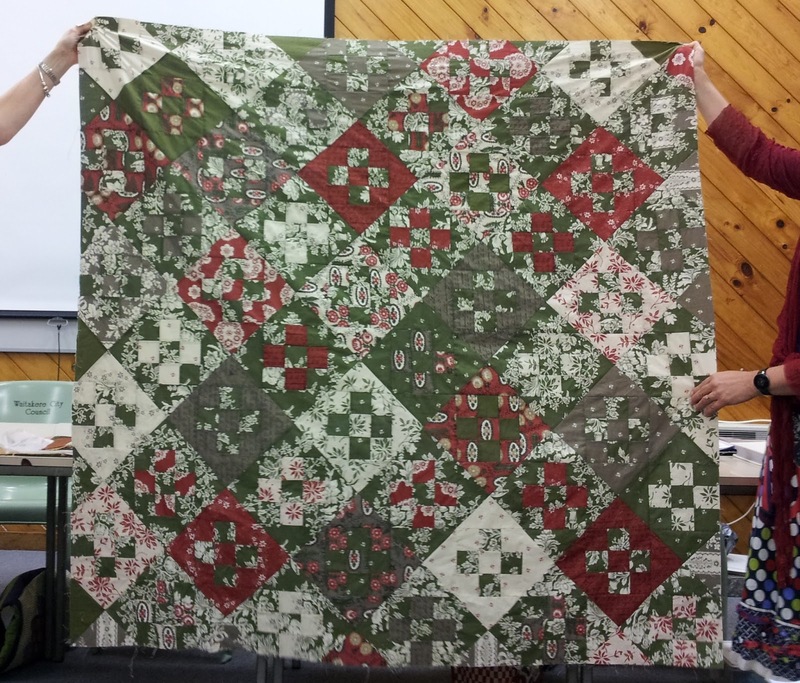 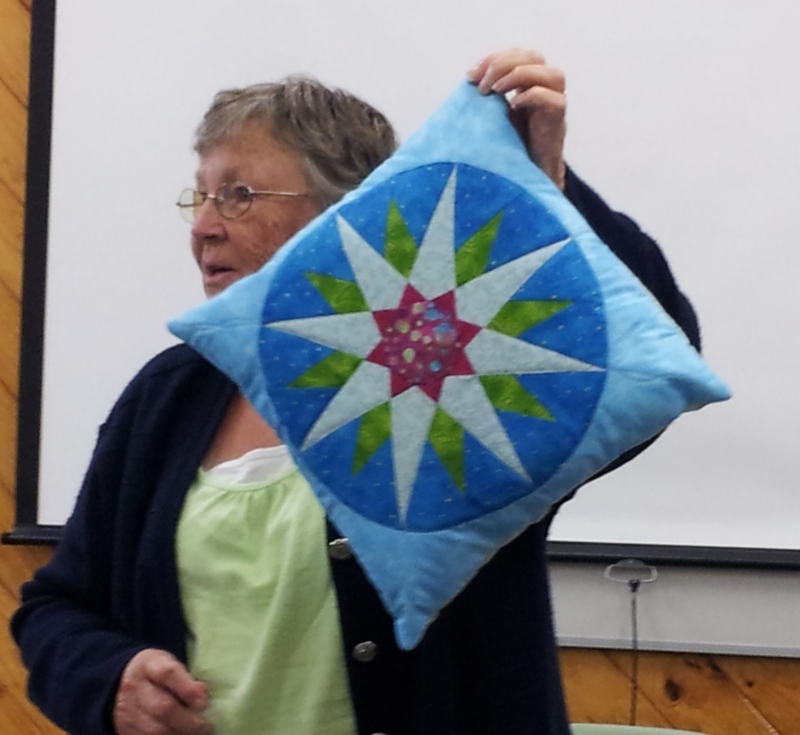 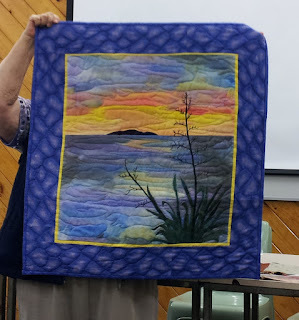 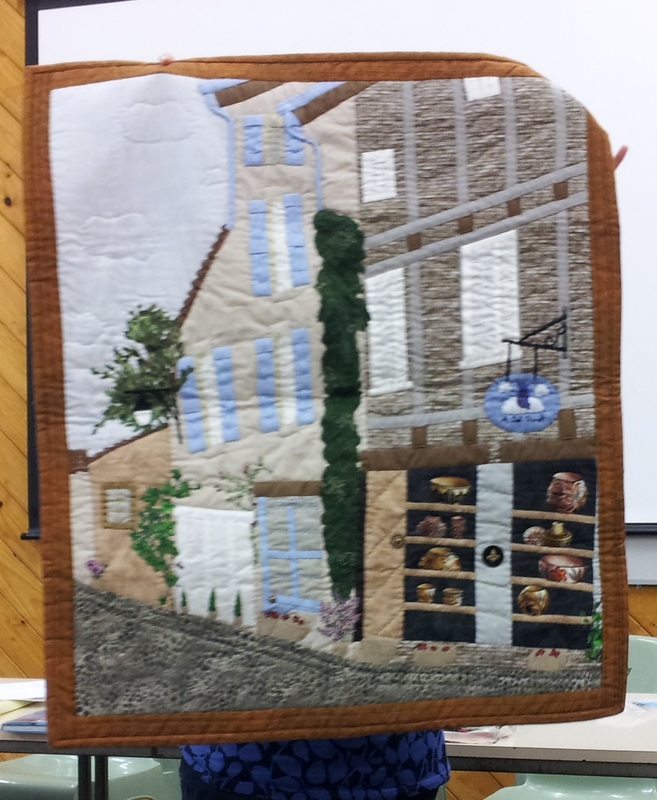 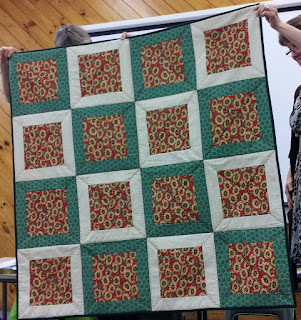 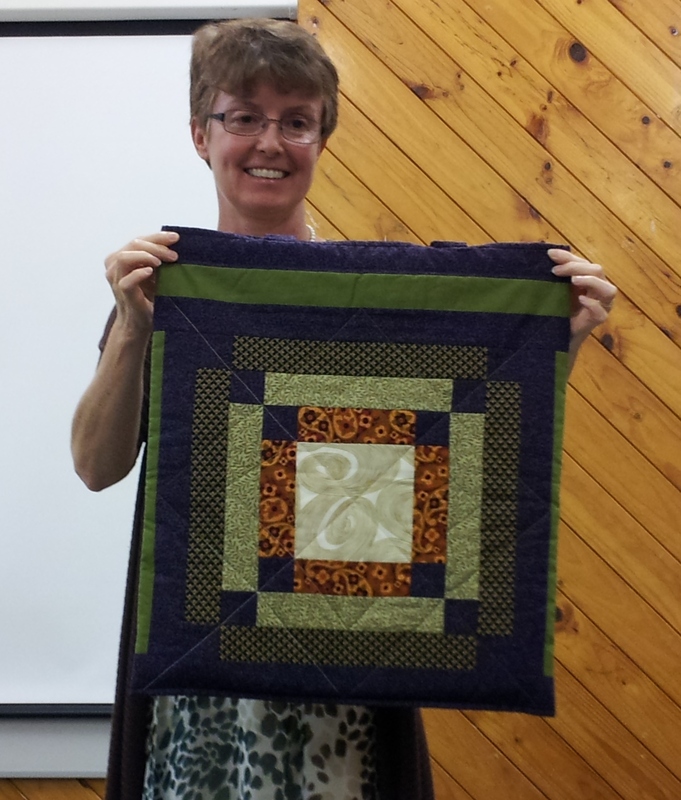 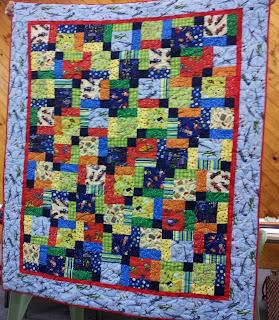 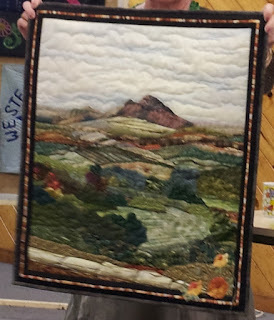 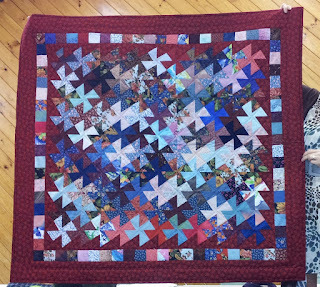 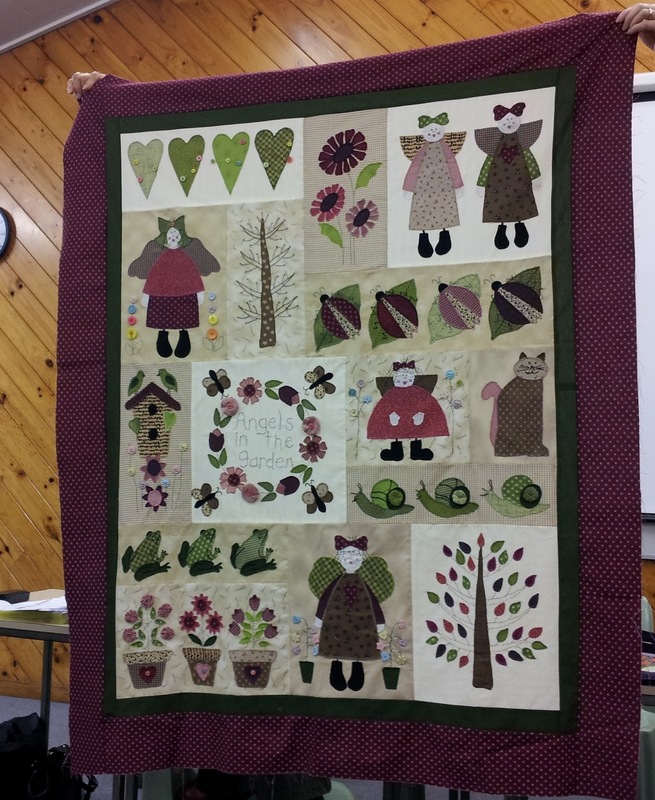 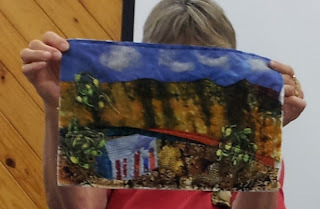 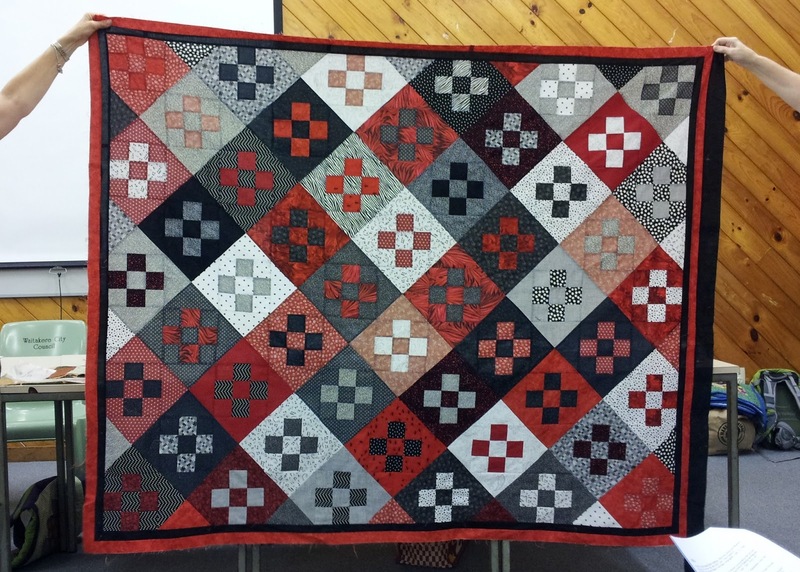 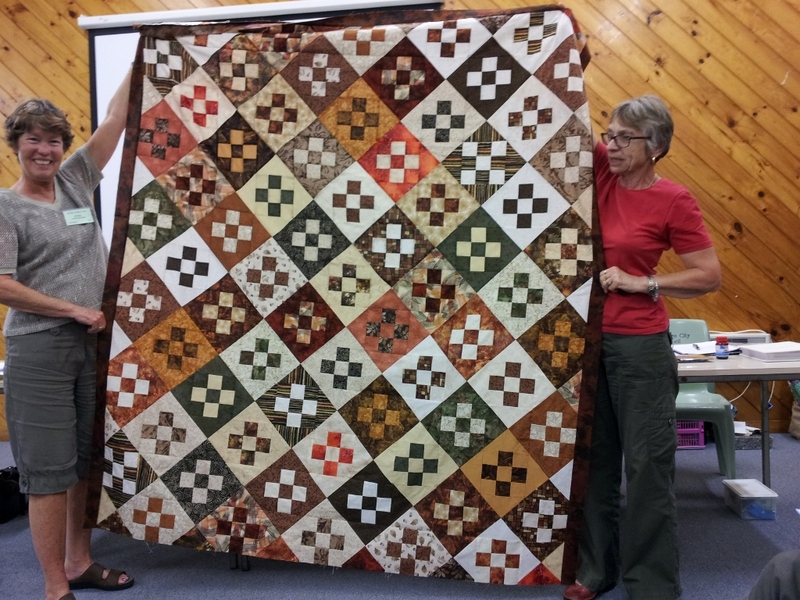 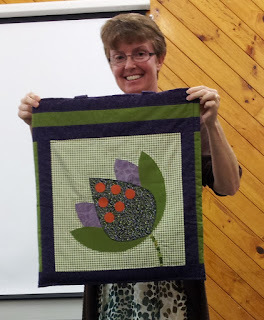 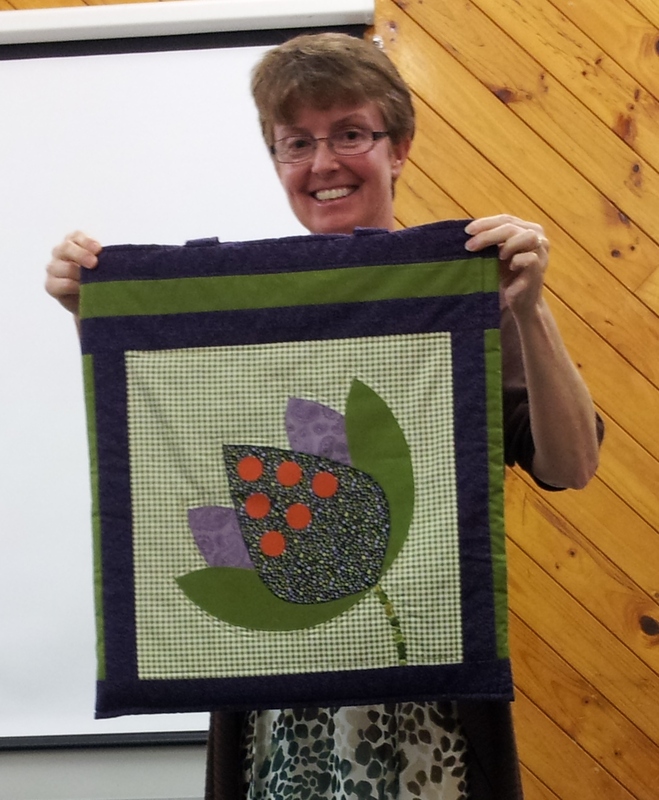 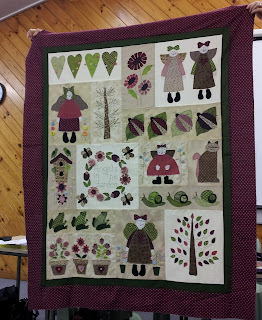 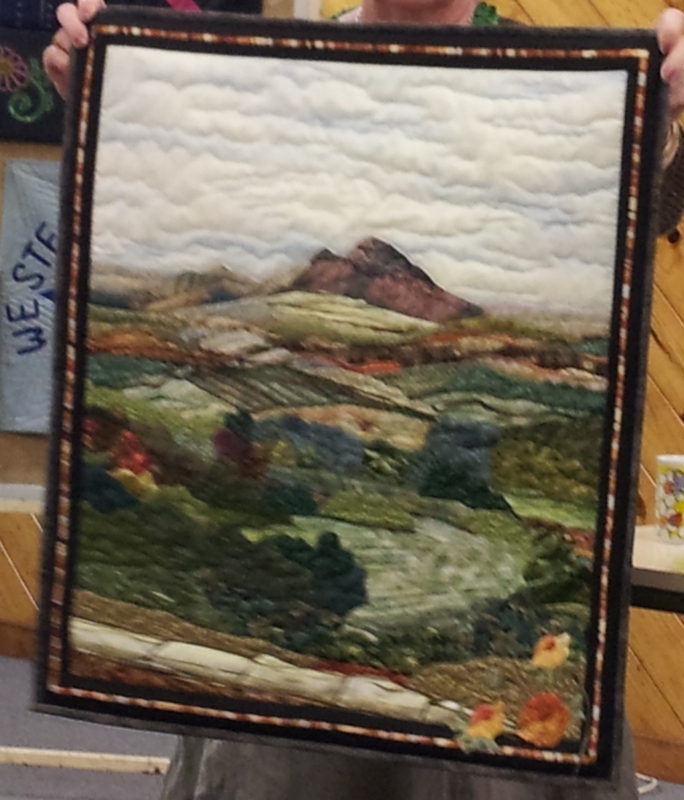 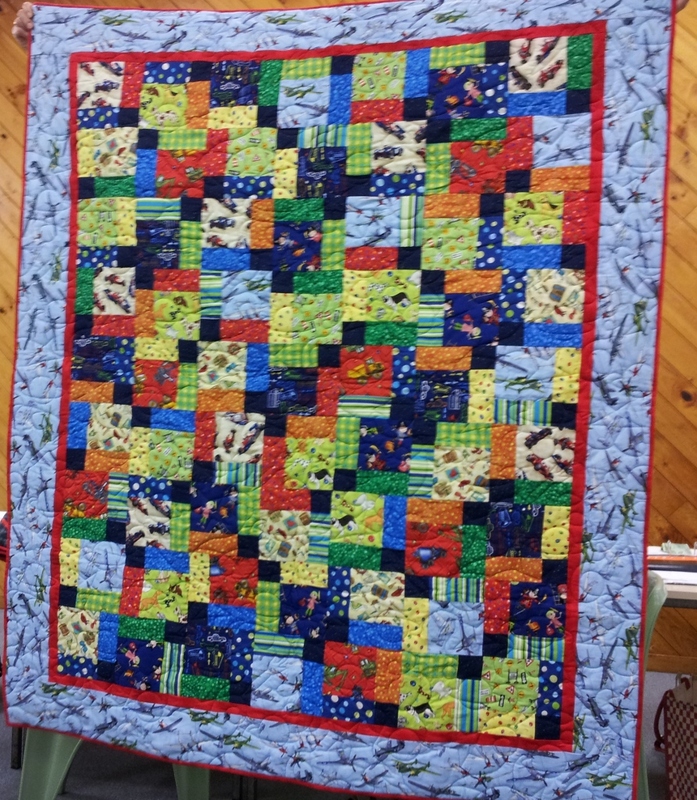 The committee's challenge this month was a landscape quilt. Sorry can't remember who this was and they are hiding behind the quilt. 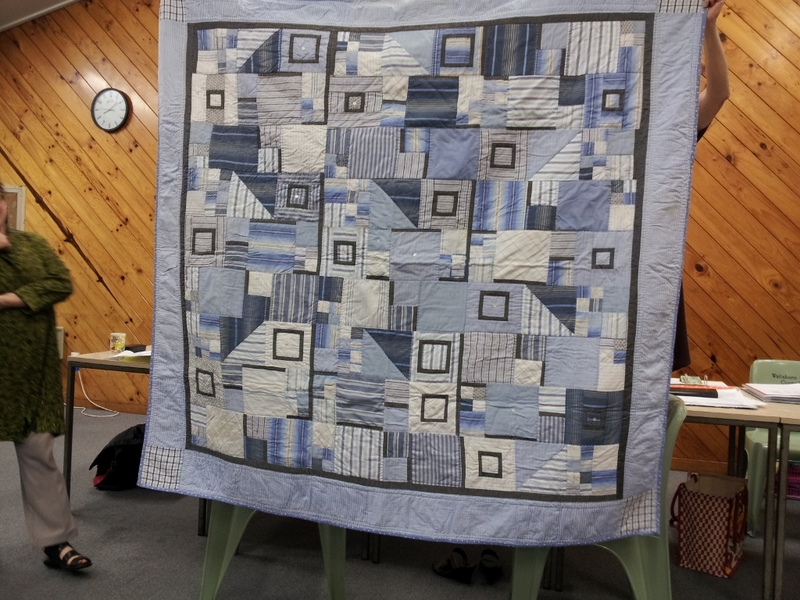 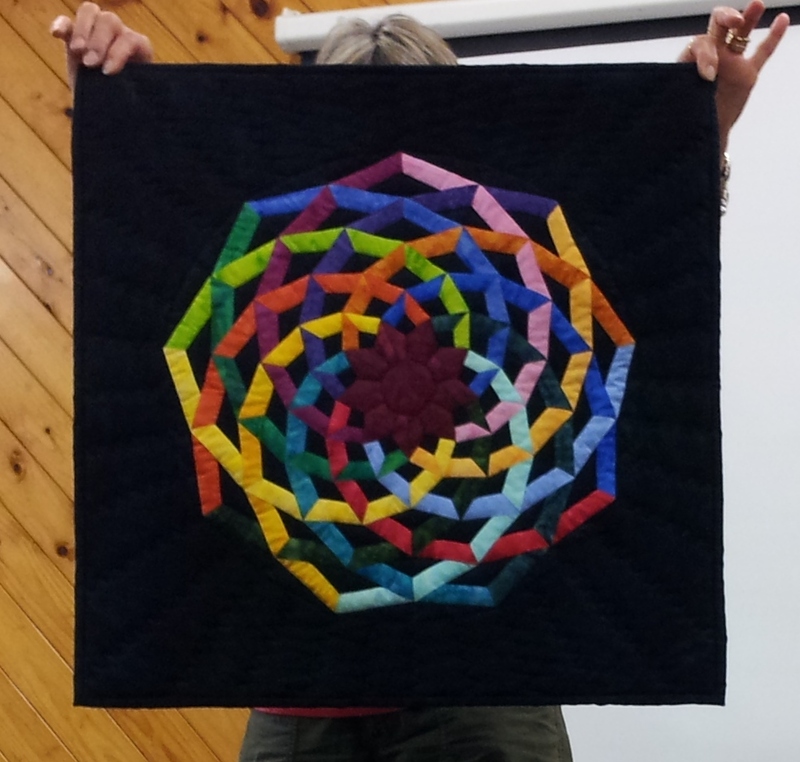 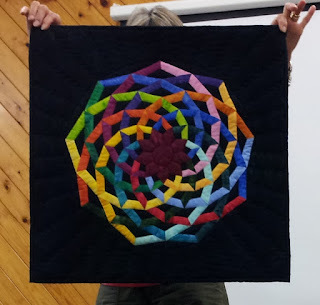 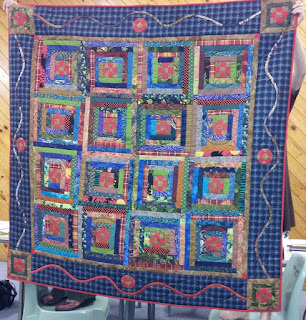 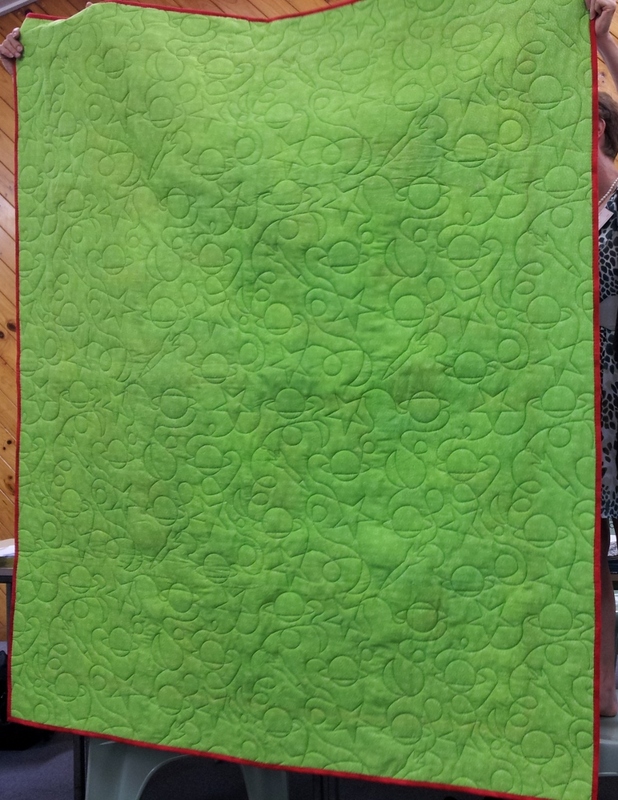 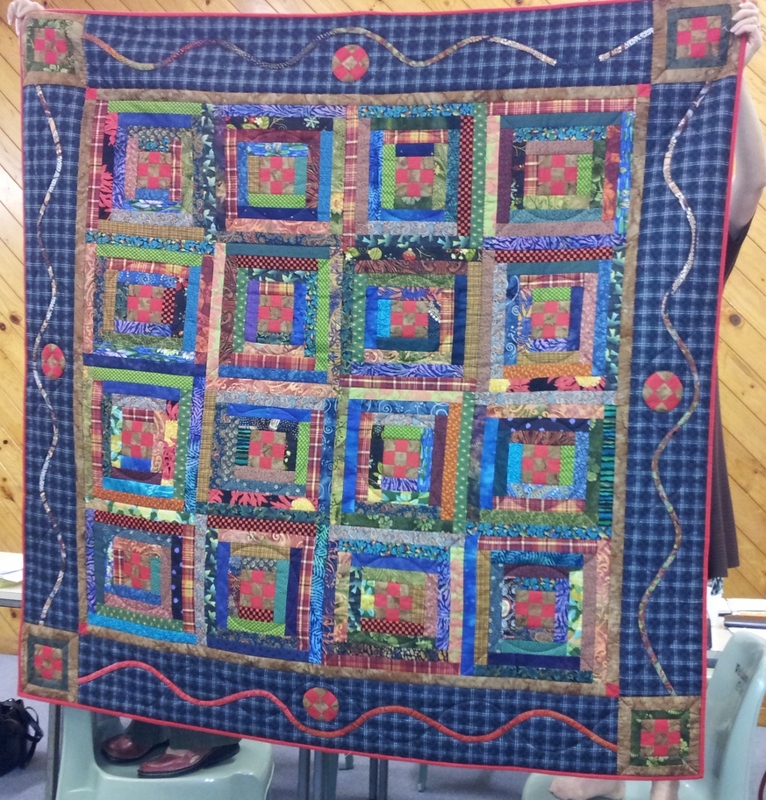 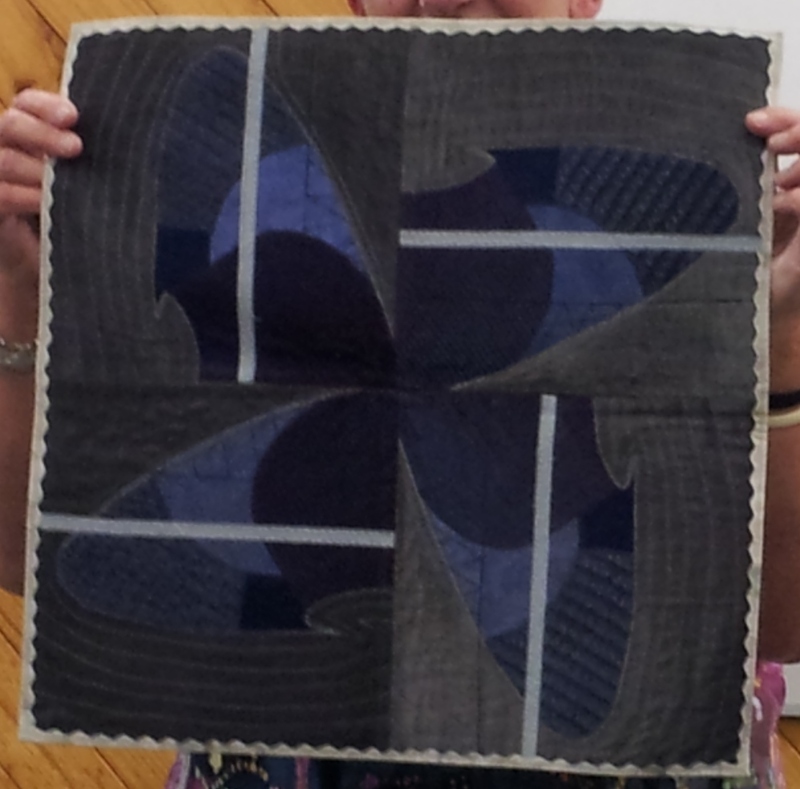 Jules made this man's quilt and kindly donated it to community quilts. 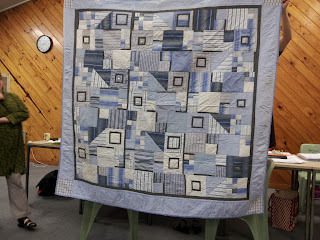 Jan's block of the month. 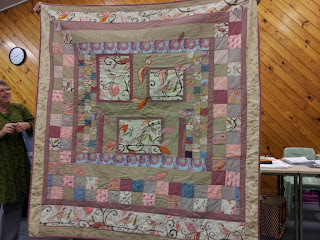 and also this one from men's shirts. Antoinette tried a new technique. 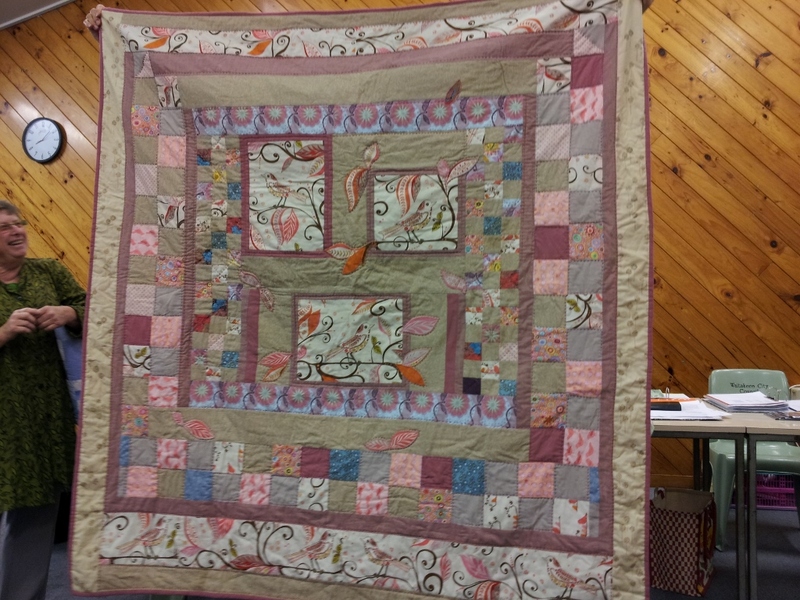 Pat made a baby quilt for a relative's baby. 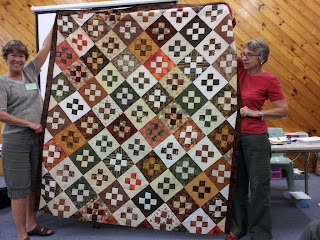 A tesselation quilt also by Pat. blocks from the raffle quilt.